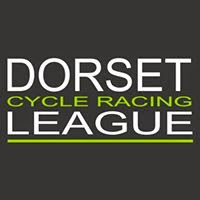 The damp roads from overnight rain were already drying out as the riders started in bright sunshine and a fresh south westerly and it was that fresh south westerly that made the 10 lap Lulworth circuit just a little more testing than it always is! The major break of the race stuck as five strong riders forced a gap on the third circuit which was already 40 seconds by the end of the lap 3. 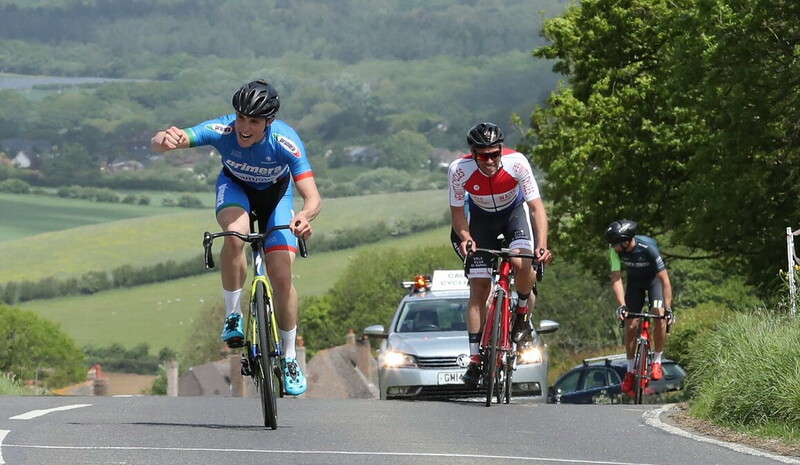 Mike Ford of VC St Raphael, Adrian Lawson & Calum Croft of Latchem Sunrsise RT, Matt Downie of Primera Sports – Team Jobs and Ben Davis of the Bristol Road Club constituted the break and they worked well together to gradually eke out an increasing gap over the bunch. TJ Key has been part of that group but fell back spending a couple of laps in no mans land before being reabsorbed by the bunch. Adrian Lawson took the first prime with apparent ease. Did the others contest it? 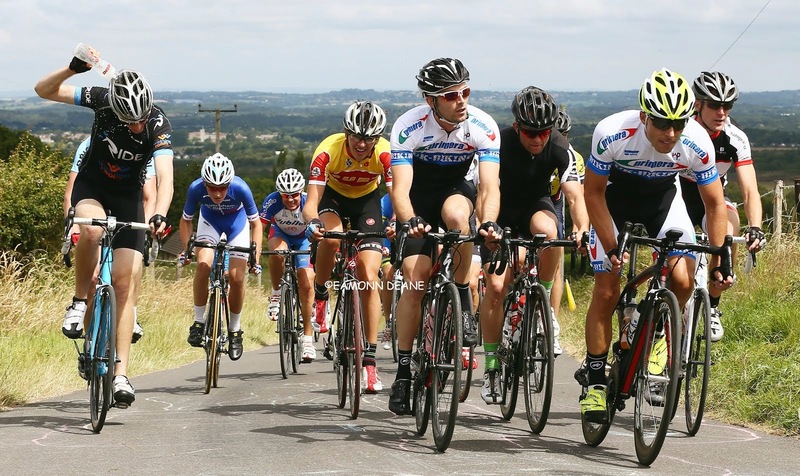 Hard to tell – everyone looks like they suffer up Newtown Hill as everyone does suffer on it! By the second prime on lap 7 the gap had grown to around 90 seconds and Calum Croft repeated his team mates earlier success looking ominously strong as he passed over the line ahead of the others. The gap seemed to stabilise on the bunch who were unable to make in roads. Its a course where individuals have won off long breakaway efforts: the 4000ft + of climbing gives no drafting advantage and everyone drops like a stone downhill solo or in a pack. The lead group only disintegrated by in the final mile or so when Adrian Lawson was the first to be distanced leaving the other four to fight out the uphill drag. 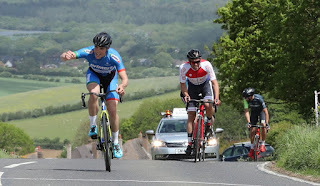 It was Primera Sports-Team Jobs Matt Downie who outlasted Mike Ford for the win, Ben Davis was close third, with Calum Croft fourth and Lason fifth. Despite several attempts by riders from the bunch to get away the field essentially finished together. 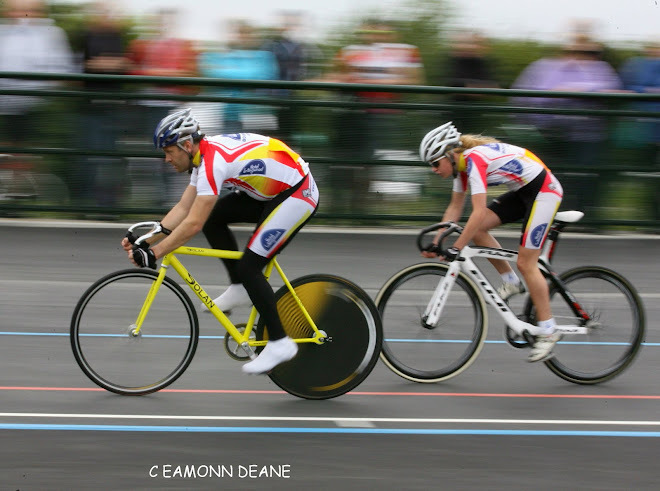 It was the home club’s John Samways who struck out for the line first but he was beaten by Nic McKibbin ot Bath CC who brought the bunch home in sixth with Samways seventh, winning the first third cat rider prize. The quality of the racing was such that only one other 3rd cat made the top 15.